Check for fuel quality and foreign substances in fuel with the Kinsler alky hydrometer. .640 to .810. 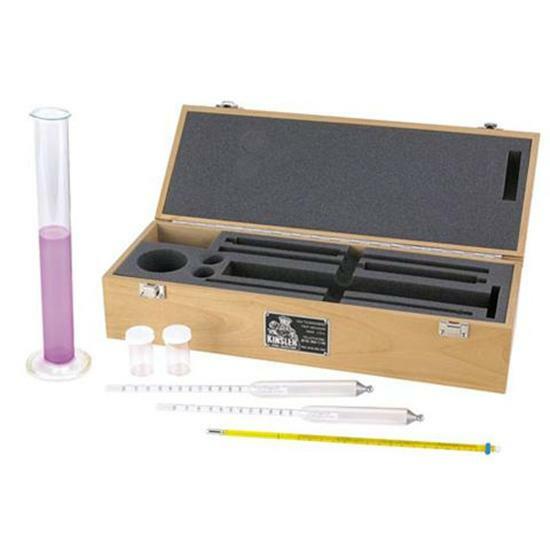 Comes with burette, two hydrometers and instructions in a foam-lined hardwood box.